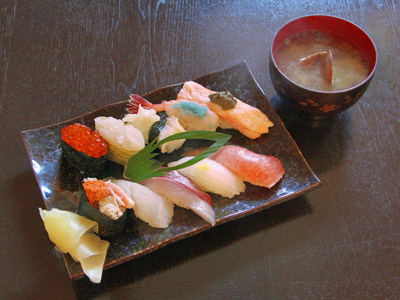 The most famous item on the Mikizushi menu is the "Tokusei Anago-zushi" (special conger eel sushi), known for its size to the surprise of first time eaters. This masterpiece is made with soft and fluffy conger eel and a secret sauce. Monkfish liver is also popular, as a snack or added to a hot pot.